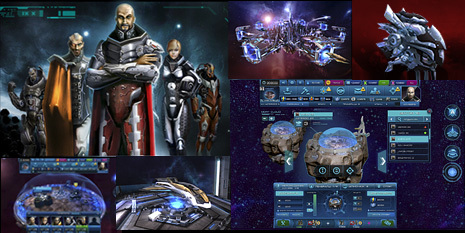 «Astro Lords: Oort Cloud» - is a free-to-play 3D multiplayer space-strategy game, with combat management in real time. The game was developed on the Unity 3D engine for web browsers, PC/MAC, single-server iOS and Android, and built on a proprietary custom-designed Cloud technology. This allows players access to an unlimited game universe. Player bases are located on asteroids, which travel within the Oort Cloud. Once they’ve acquired the appropriate skills, players can control their asteroid’s movements. Each player begins the game as an Astro Lord on their asteroid base. This base enables players to extract minerals and build factories, which will be used to produce ammunition and spare parts for their space ships. This base is the player’s primary stronghold: other Lords can raid it, but they won‘t be able to capture it. Players can also capture up to five additional asteroids, which will be used to extract minerals. But beware: the player will have to remain on the alert to keep other Lords from recapturing the asteroids. Mass-combat enthusiasts will love the Arena: here, players can battle it out against alien races (AI) or other Astro Lord players. Those battles take place in real-time, which allows players to actively take part in the game instead of just having to wait for the completion of their building projects. You will experience complete freedom of action and social interaction. Become a worthy Astro Lord!